When it comes to literature, I tend to be an elitist reader. I like tomes that are philosophical in nature, that have complex themes and scintillating, lyrical writing. I no longer indulge in much “light reading.” I need my books to challenge me intellectually and emotionally. So bearing that in mind, it’s for this reason that I am not keen on too many young adult novels. I appreciate the genre for what it is, and I know there are some gems within it. But typically the content and style of young adult novels are too trivial for my tastes, even as I apprehend that young people are drawn to these books in droves. I am glad that teens are reading at all, even if it’s novels that could be considered “fluff” when contrasted with more mature books. The Giver is one grand exception to the varying shades of superficiality that exist among young adult novels. 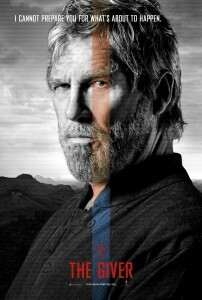 The Giver has depth and substance. While its style may seem simple on the surface, this masks a more sophisticated thematic thrust. The language is accessible, which is why it can be considered a young adult novel magnet, but the concepts are complex, not easily discernible to young adults. Therein lies the rub with The Giver. It reads like a young adult novel, but only actual adults can likely grasp the content in all its coded convolution. 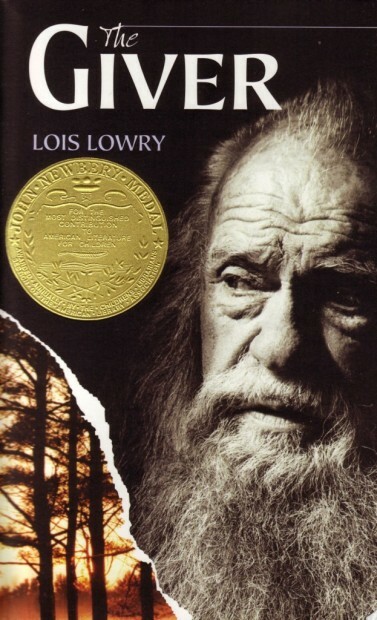 The Giver is known as a dystopian novel, but of course that term is tossed around lackadaisically and is so liberally applied to every young adult novel and movie coming out in recent years. I prefer to call the living situation in The Giver a “faux-topia,” because it is more like a dystopia posing as a utopia. What it really is, of course, is a tightly controlled totalitarian climate branded and sold to inhabitants as an idyllic world. The excessively messy past is suppressed in favor of a present that has been reconstituted into a streamlined, closely surveilled Orwellian state, replete with double-speak for unpleasant terms and ideas. Feelings of either extreme are not given rein to congeal into emotions, which can severely interfere with a smoothly functioning society. Inhabitants of this false paradise must take daily injections in order to manage an encroaching psychosis that would otherwise take place if humans were permitted to exist within their raw, real selves, and with all of the labyrinthian layers actual reality presents. The novel The Giver was so rich, so original, so compelling – so devastatingly authentic and yet culminating on such a hopeful note – that it is hard to imagine a movie version could do it much justice. The magical stoicism in Lowry’s tone, which evoked such a stark, portentous world, and the sparse, minimalistic prose almost seem untranslatable into film lexicon. And yet, the film “The Giver” manages to capture the eerie essence of the book at least somewhat, despite what the slew of bad reviews may lead you to believe. Indeed, the movie is drowning in bad reviews, a situation I find a bit bemusing. Granted, it’s far from being void of flaws – the movie is unevenly paced, the character development is fragmented, and we are never given enough time to “sink into” Jonas’ world, to acclimate ourselves to his faux-topia so that we can then fully empathize with his urgent need to subvert his situation. As it is, we understand his frustrations, but we don’t live them, and we need to. We need to immerse ourselves into his world, as we did in the novel. That said – and I almost talked myself into disliking the film there for a minute – I do think “The Giver” competently mimics some of the austere atmosphere of the novel. A film’s visual dimension can easily glorify or damage a well-written, well-intentioned novel. A director keenly attuned to the idiosyncrasies and nuances of a great book can steer a movie in the same general direction – it may not be able to duplicate the novel, as books and movies are two wildly disparate mediums, and typically the book is going to be the authority on itself, while film a mere companion to the book. Films, true, are able to supply the visual and audio components that the book can only evoke, but part of the reason why books trump movies is because of their power of SUGGESTION. Films lay it all out, and while films, too, can hint and suggest, they still dictate more than books because of the nature of their medium. I am sure we can all agree that the power of suggestion cultivates the imagination moreso than the power of imposition. What has always struck me about great movies based on books is how well they mirror what was in MY mind while reading the book – and this, to me, is a testament to the authors’ supernatural skills in evocation. If the director had the same ideas in mind that I had while reading the book, then that means countless others did as well. “The Giver” is hardly a great movie, but it did capably recall elements of the novel for me, as I had read it years ago and had forgotten a lot. Its homogenized homes and soul-deadening architecture, its sterile, static characters, who mumble in euphemisms and squelch their most dynamic emotions – these things the film seizes quite well. True, some of the montages that are meant to invoke the colorful, chaotic past, in all its harmony and tragedy, could be considered campy, more like TV ads than authentic imagery. And true, the acting can be stiff and aloof at times – though Meryl Streep, for once in her annoying life, actually captivated me! But the film does attempt to hew to the spectral authoritarian milieu that Lowry sets forth in her masterpiece, and that is worth something, I think. “The Giver” gives us a glimpse into the harrowing world of quasi-zombie-ism, where the people are just shy of being robotic replicas, all in service to erasing the past’s byzantine untidiness. Its gift is a message to sublimate, not suppress.